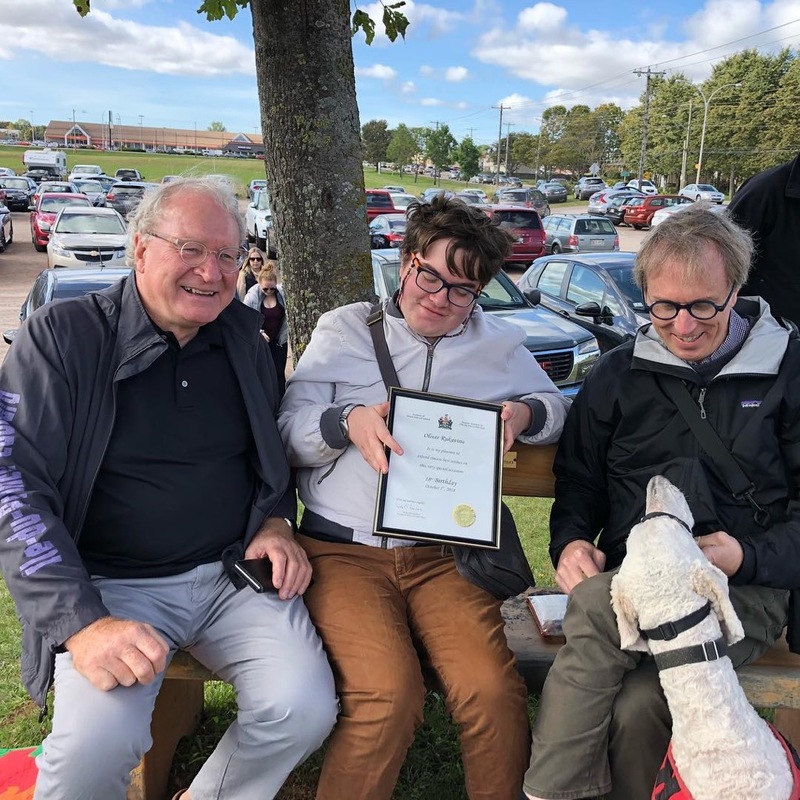 Oliver and I rendezvoused with Premier MacLauchlan yesterday morning at the Charlottetown Farmer’s Market and he kindly presented Oliver with a certificate recognizing his 18th birthday. A passing Kevin Yarr helpful snapped a photo of the occasion. Written October 7, 2018 at 2:59 p.m.